Planète Poutine & cie as well as La frite à Brigitte offered some of the very best classic poutines of Le Grand PoutineFest. The difference between the two boiled down to personal taste as one was not necessarily superior to the other. At such level, do not expect disaster (for example, bad quality ingredients, lacklustre gravy, burnt potatoes, etc). Planète Poutine & cie classic poutine featured bigger chunks of potatoes, which I prefer, with a really nice gravy sauce (sauces of poutine are always secret recipes as the secret is in the sauce..) and a nice tasty crunch. PP & Cie suprised me a bit as it is a chain, therefore I was not expecting much from them, but clearly their classic poutine is one of good standard. In comparison, I found la Frite à Brigitte gravy sauce a tad more delicious. However, both places did master really well all the aspects of their poutine using quality homemade potatoes (La frite à Brigitte particularly proud of the Yukon gold potatoes from St Roch de L’Achigan that they were cooking during the poutine fest as proven by the display of their quality potatoes pretty much everywhere on the premises), superb fresh squeaky big chunks of cheese curds (left unmelted , just the way I like it!! 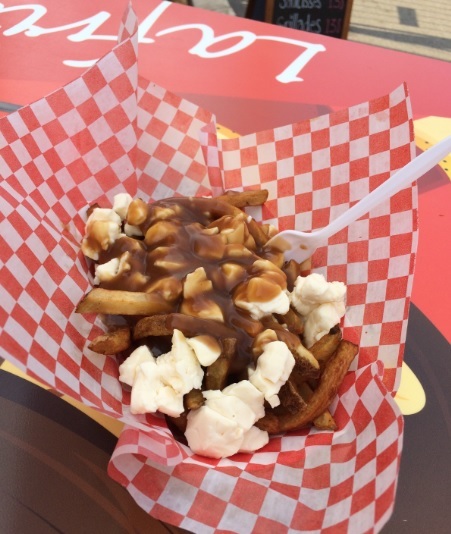 ), and where many poutineries hide behind the excuse of “authenticity” to offer soggy tasteless fries, both La frite à Brigitte and Planète Poutine & cie french fries are packed with great potato flavor and a well balanced crispy exterior/ soft interior . The journey to Poutineland is a never ending one. Time and again, there is always a new spot that is recommended by my Quebecois friends. 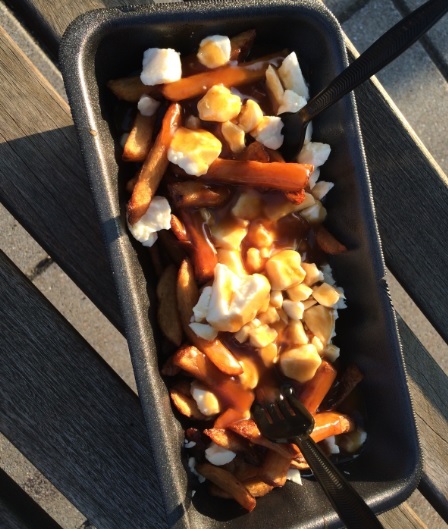 The suggestions are numerous, and this serves me well in my search for the finest poutines, but unless one does not understand what a properly executed classic poutine should be, there was hardly anything to fault with both above mentioned poutines. 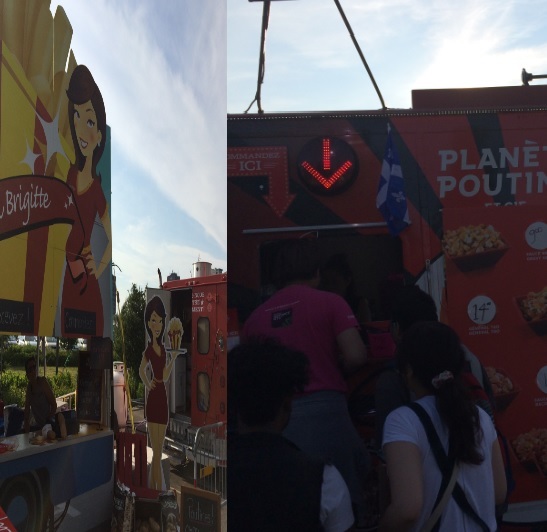 I have no clue how it fares at their respective restaurants, but both classic poutines sampled here at the Poutine Fest were better than the classic poutine I had at plenty of supposedly far superior poutineries such as the legendary La Banquise. 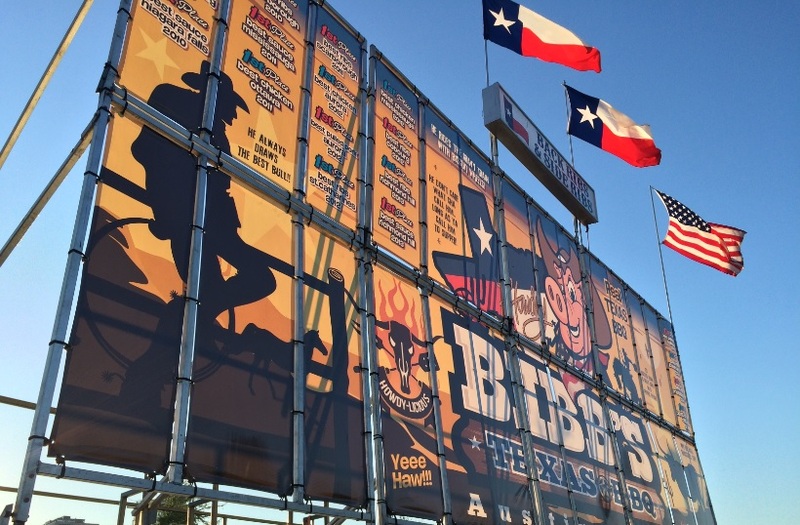 Bibb’s Texas BBQ is at its first presence at the Mtl ribfest. 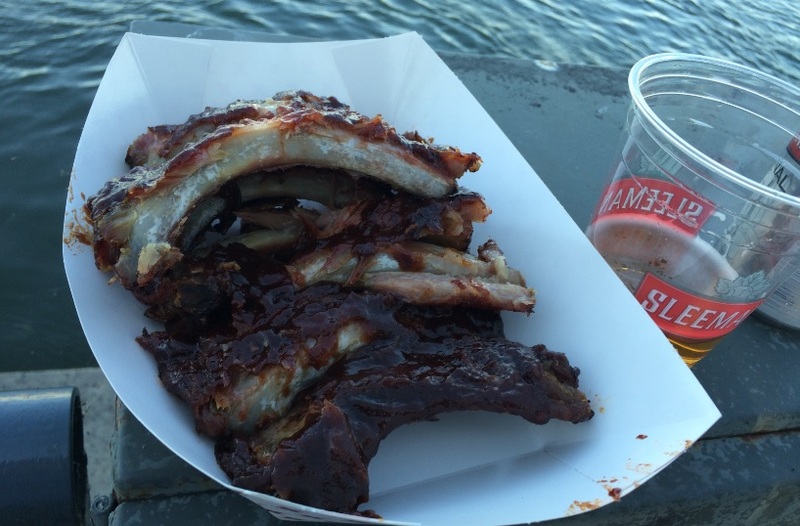 They smoke their baby back ribs for 4hrs using cherry wood, the sauce made of sweet tomatoes. The baby back ribs I had were unfortunately a bit dry for my taste, the sauce enjoyable enough but lacking the complexity of, say, the sauce that Texas Rangers (my preferred ribs of the 3 ribfests of Laval / Mtl) had served me on the 1st edition of this event (Texas Rangers did not participate at the latest 2 ribfests). This does not mean that you should expect the same issue from all their ribs (after all, it would be unrealistic to expect perfect ribs at every serving), but I can talk only for what I know.